Following on from their excellent studio album reissue campaign in October 2012, Salvo Music released A Concert for Kirsty MacColl on 18 February 2013. This CD release captures a concert performance from October 12th 2010, when fans and friends packed London’s Shepherd’s Bush Empire to hear Kirsty’s fellow artists celebrate 12 of her greatest songs. 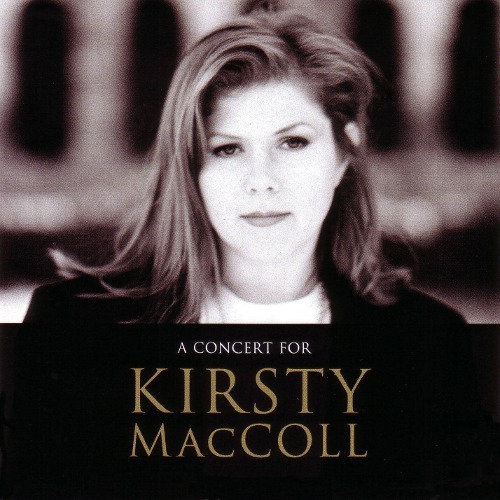 Performers such as Ellie Goulding, Amy MacDonald, Billy Bragg, Andrea Corr and Alison Moyet helped to celebrate the life and music of Kirsty MacColl. Recorded almost a decade after MacColl’s shocking death, there’s no doubting the sincerity and love of the participants in this celebratory show. MacColl’s voice was one of the most distinctive and seductive in pop history, to the point where it’s almost uncomfortable to listen to others taking on her fine tunes. Ellie Goulding’s breathy Soho Square sounds way too flimsy, Amy MacDonald’s strident bark reduces Tread Lightly and (especially) Fairytale Of New York to bad karaoke, while Andrea Corr’s default setting sugariness all but cuts the knackers off They Don’t Know.